Thomas Leonard came to this area in 1851 from New England. Pleased with what he found, he returned to New England to bring his family. His first home was a log cabin located on the site of the present Coulee Region Christian School. It marked the beginning of the settlement. A mile to the northeast lay another village, Neshonoc, founded by Monroe Palmer. The two villages were rivals until the railroad came through the area. Leonard offered land free to the railroad it would construct a depot in the village, while Palmer wanted to sell his land to the railroad. With the coming of the railroad, Leonard’s village grew and Neshonoc died, with many of its homes and buildings being moved to what is now West Salem. The first suggested name for Leonard’s village was Rupert. Finally the new name Salem was selected and after another Salem was discovered near Milwaukee, West was added to the village’s name. With the railroad giving West Salem a real boost, the village slowly grew. Churches were established and businesses flourished. Hamlin Garland, the Pulitzer Prize winning author of Daughter of the Middle Border, was born in West Salem. 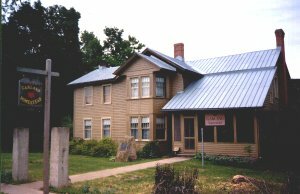 He returned to West Salem in 1893 to purchase the property that is now the Garland Homestead. He used the Homestead as a summer home from 1893 to 1915. He died in California in 1940 and his ashes were returned to West Salem to be buried in the Neshonoc Cemetery. In 1911 a devastating fire began near the railroad tracks on the First of July. Had it not been for the heroic efforts of fire fighters from the entire area, all of the village would have been destroyed. From the ruins of the main business district, the buildings were rebuilt and once again the village grew and flourished. 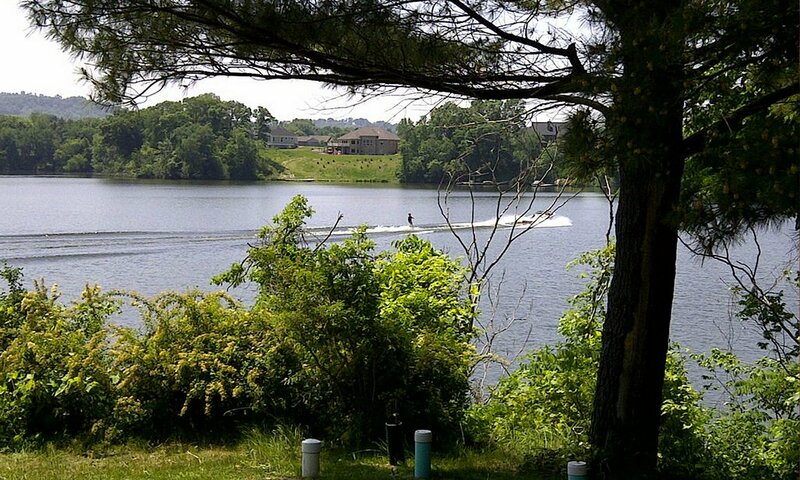 Three properties are presently listed on the National Register of Historic Places. Besides the Garland Homestead, both Octagonal homes in West Salem have been honored. 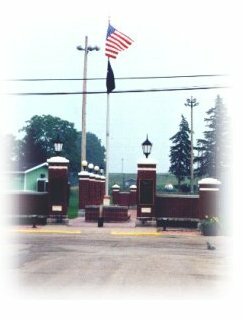 Originally the site of the County Fairgrounds and the County Hospital, West Salem has always been a center of county activity. Today it is the home of Lakeview Health Center, the Interstate Fairgrounds, Northern Engraving, Mulder Health Care facility and many small businesses, including a corridor of auto dealerships. Service organizations such as Rotary, Lions and American Legion have added a great deal to the community. The village has witnessed a large growth in population since the 1960s. Its people take great pride in their community and its heritage. Hamlin Garland, one of Wisconsin’s foremost authors, was born early in the morning of September 14. 1860, in a small log cabin in West Salem. His parents were Richard and Isabel McClintock Garland. In 1861 the family moved to Green’s Coulee near Onalaska, where they stayed until moving to Iowa in 1869. Twelve years later Hamlin graduated Cedar Valley Seminary in Osage, Iowa. That same year his family went farther west to homestead in the Dakota Territory. Hamlin wandered about taking odd jobs until 1884 when he settled in Boston to continue his schooling. In 1899 Garland married Zulime Taft, sister of the famous Chicago sculptor, Lorado Taft. Zulime gave birth to a daughter, Mary Isabel, in 1903, and a second daughter, Constance, in 1907. Garland and his family moves to New York state after his father died in 1914. Garland spent the last ten years of his life near his married daughters in Southern California. He died in 1940 at age 79. Zulime died two years later. Hamlin Garland’s ashes are buried beside his parents in Neshonoc Cemetery near West Salem. His wife is buried there also. Hamlin Garland’s early success as an author enabled him in 1893 to purchase a house and four acres in West Salem as a homestead for his parents. He spent October of that year preparing the house and his family moved back from the Dakota Territory in time to celebrate Thanksgiving. In his years after his marriage to Zulime he and his family spent four or five months a year in the house in West Salem. His first daughter was born in the house, and here he spent many mornings in his writings. The house was partially destroyed by fire in 1912 but Garland rebuilt it for the sake of his father and daughters. In 1973 the Interior Department designated the house a National Historic Landmark. At dedication ceremonies that fall a large stone and plaque noting its historic values were placed in front of the house. The house was purchased by the West Salem Historical Society late in 1973, but restoration did not actually begin until 1975. 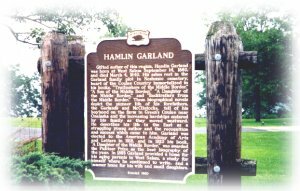 A historic marker concerning Hamlin Garland’s ties with the area stands north of West Salem at Swarthout Lakeside Park. There is also a large plaque marking the grave site in Neshonoc Cemetery. The street running in front of the house was renamed Garland Street some years ago. Garland also saw the hardships of pioneer life. His fiction, Main Traveled Roads (1881), Prairie Folks (1893), Wayside Courtships (1897), Other Main Traveled Roads (1901), and Rose of Dutchers Cooly Roads (1895), gave the expression to the hardships and difficulties of pioneer life, as well as the colorful social practices of rural Wisconsin. In one passage Garland wrote, “The lives of these farmers are hard, parched by the sun and tanned by the wind. No beauty, no music, no art, no joy just a dull and hopeless round of toil.” Garland’s Middle Border series consisting of A Son of the Middle Border, A Daughter of the Middle Border, Trailmakers of the Middle Border, and Back Trailers of the Middle Border, are crowded with autobiographical material and are priceless portraits of a period in Wisconsin’s history. Hamlin was awarded the Pulitzer Prize for the best biography in 1921. Though it was awarded for Daughter, the committee saw it as honoring both that and the first book of the series, The Son. In 1926 he received the degree of Doctor of Letters from the University of Wisconsin. Forty-three volumes of his journals and diaries were given to the Huntington Library in California. The remaining papers and letters are owned by the University of Southern California. 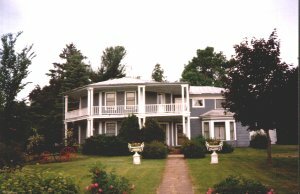 The Palmer-Gullickson Octagon house was originally located at Neshonoc, an area about one mile north of West Salem near the La Crosse River. The home was built in 1856 by Dr. Horace Palmer, the first resident doctor of Neshonoc. When thriving Neshonoc lost its residents to West Salem because the railroad was being built on land secured in West Salem – the large Palmer home was moved to its present location so Dr. Palmer could be close to his patients. The process of moving the house took three weeks, during which time the Palmer family kept right on living in it. A large wing on the structure made it made it necessary to split the house for easier moving. The house was heavy, made of oak beams, brick lining for warmth, and walls were filled with sawdust for insulation. One very unusual feature was the attachment of the barn directly to it. The attached barn offered the pioneer doctor convenience because he used his horses often. The house was sold in 1876 to Dr. Mary Lottridge, the second woman doctor in the United States. Then, the home was sold to Roy Gilfillan who made the doctor’s office into an apartment. 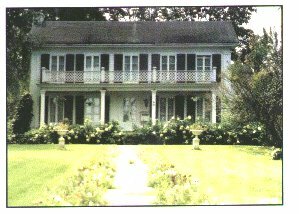 In 1921 the home was purchased by Mr. & Mrs. Oliver Gullickson. Their son and daughter-in-law, Dr. & Mrs. F. L. Gullickson, lived in the apartment. Mrs. F. L. (Rachel) Gullickson was a teacher, historian, nature lover, and avid world traveler. She served as committee member and officer in many organizations throughout her lifetime. She was honored by the students at West Salem High School as the 1974 Neshonoc Yearbook Dedicatee. She was a life long member of the Presbyterian Church of West Salem. She was very interested in West Salem – its past, present, and future. Through Rachel Gullickson’s generosity, the West Salem Historical Society was able to purchase this house and carry out her wish that the home be preserved and open to the public.